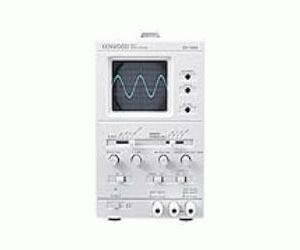 The CO-1305 is a compact, high-performance oscilloscope incorporating a 75 mm CRT. The vertical axis sensitivity is as high as 10 mV/div and the frequency band is as wide as DC to 5 MHz. It incorporates a variety of functions including the intensity modulation and external sync in a compact package.